Most people get concerned that their pest control barrier is being washed away with normal rain or sprinkler watering. However, once your pest control barrier is dry normal rain or sprinkler water has little effect on it. Professional pest control products are made to stand up to regular wear and tear by sprinklers, mopping, and normal rain. 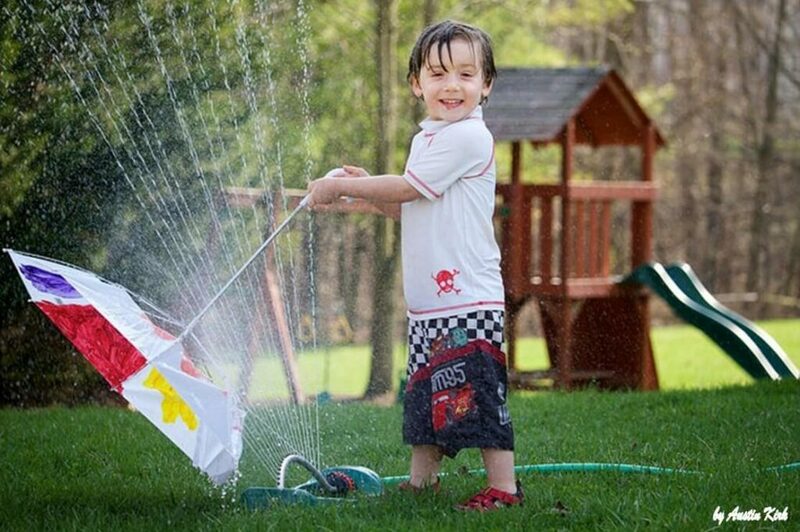 Plus granular products applied by pest control professionals around your yard actually become MORE effective after getting wet! Guaranteed Pest Control – No Matter What! We usually get some crazy weather a couple times a year in the Phoenix Valley that have the potential to disrupt even the most effective pest control. Despite every best effort with top notch products and thorough pest control applications monsoon floods and intense dust storms have the potential to cause an increase of pests. There’s nothing like desert rain… From cooler temperatures to the unique smell, we charish desert rain and so do pests! Pests benefit from the rain and landscape watering too. Scorpions and all desert insects need moisture to thrive, and they get a nice big dose during monsoon season and from over watering. Large dust storms in the Phoenix Valley can completely COVER pest control barriers with dirt, and Monsoon rains can actually FLOOD OUT treated yards – Giving pests the MOISTURE they thrive in and diluting previous pest control treatments. Have no fear! Here at Responsible Pest Control, customer satisfaction is our highest priority! If you ever get any bug invasion between your regular pest control services, FOR ANY REASON, please give us a quick jingle, text or email and consider it done. We’ll schedule you for a FREE re-treat right away at NO COST to you! Delivering the most effective Scorpion & Pest Control in Mesa, Phoenix, Chandler, Scottsdale, Gilbert, Queen Creek, Maricopa, Glendale, Tucson & surrounding areas.